MV Agusta South East | Most Iconic Motorcycle Brand in the World! 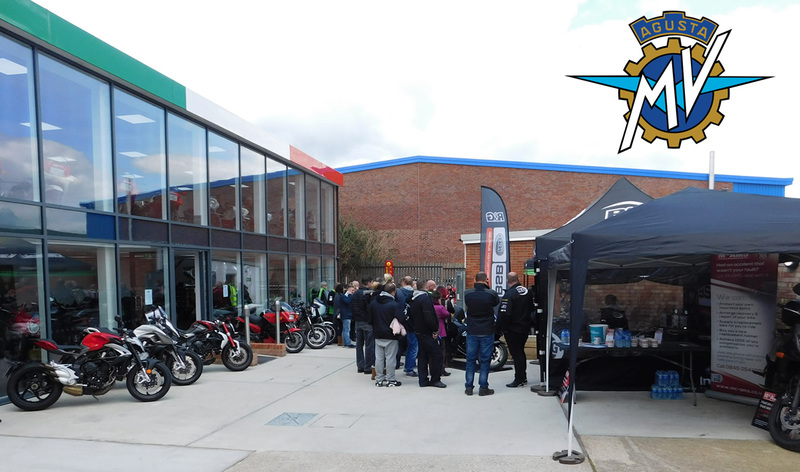 M V Agusta South East are proud to be one of the few ‘FLAGSHIP’ dealers in the UK! Based on the South Coast we proudly represent one of the most iconic motorcycle brands in the world. MV Agusta has a prestigious past with iconic race victories and now boasts some of the most beautiful and innovative machine’s money can buy. Having always existed as specialists in Italian motorcycles, we have all the up to date tooling and workshop facilities to offer bespoke technical back up catered towards MV Agusta ownership. Our mechanics have full access to all the latest diagnostic equipment and have received training directly from the factory in Varese. The latest chapter at Alf’s Motorcycles has seen the expansion of a new two-story showroom specifically created to house the latest MV Agusta range and a selection of classic Italian machinery. We aim to provide a full experience to our customers and our highly knowledgeable staff are here to answer any questions you may have. We have a very unique dealership with plenty to offer, some beautiful local roads and an extensive collection of rare classics. So why not make Alf’s Motorcycles (MV Agusta Sussex, South East) your next ride out destination? We will aim not only to supply the MV range of bikes, clothing and parts but also offer the highest standard of preparation and servicing. Our Racing Team has been around for over 20 years in which we have been Endurance Champions, both on an International and National level, with a few Isle of Man MGP Classic races under our helmet too!